Save $5 when visiting after 7:00pm! Same great experience for less! Save an extra $5 and visit after 7:00pm! 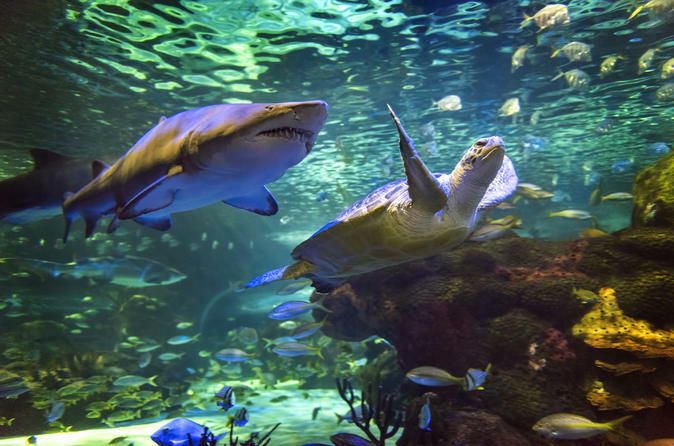 Ripley's Aquarium offers nine galleries to explore, including the following. Discovery Centre: Pop into the underwater viewing bubbles to get a closer look at pufferfish and clownfish, and be sure to touch a bamboo shark or a 'living' fossil in the horseshoe crab touch pool. You can also grab a quick bite to eat at Ripley's Cafe here.